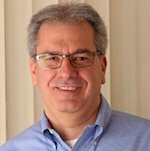 Joe D’Amico is vice president of broadcast sales at JVCKENWOOD, a position he has held for the past two years. During his 11-year tenure with JVC, D’Amico has moved up the ranks starting as regional sales manager, director of broadcast sales, and assistant vice president of their broadcast and public sector division. He is a media veteran with over 15 years of experience in the broadcasting and production markets. More recently, D’Amico has led JVCKENWOOD’s advance into IP streaming, connectivity, and multi-platform distribution.